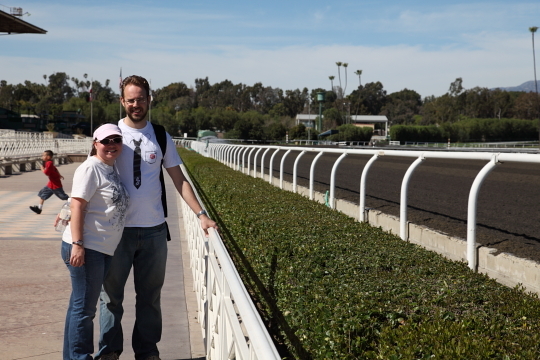 This past Sunday we visited Santa Anita Park for their first ever Snow Day. The organizers put out tons of snow throughout the infield of the track which also featured an ice rink and a snowy hill to sled down. Because this was a family oriented event we also brought my Dad and my sister Nikki. When we arrived at 10:30am, when the park opened, there were already hundreds of people there and the snow was already beginning to melt. Although it was a beautiful, mostly clear day, we couldn’t believe how hot it was already! 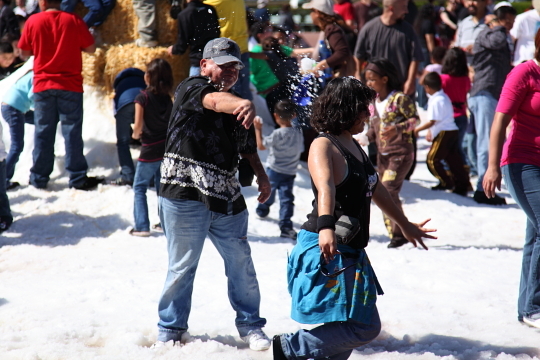 We sat in the infield for about half an hour, and took some pictures of my Dad and Nikki throwing snow balls at each other, before we decided we needed to get into the shade. 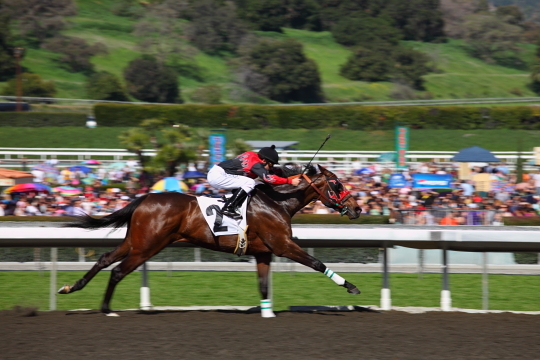 We decided to go back to the stands to watch the first race at 12:30. 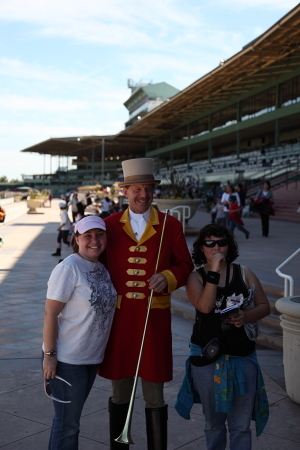 While we waited for the first race to begin we saw the trumpeter walk by and asked if we could get a shot with him, he gladly obliged. 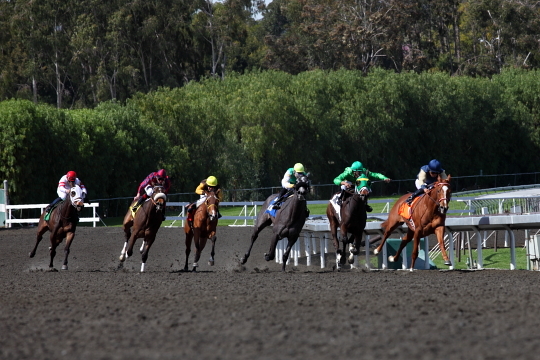 While my Dad bet on the horses, Bryan and I took turns photographing each race with our new camera (more on that in a later blog). 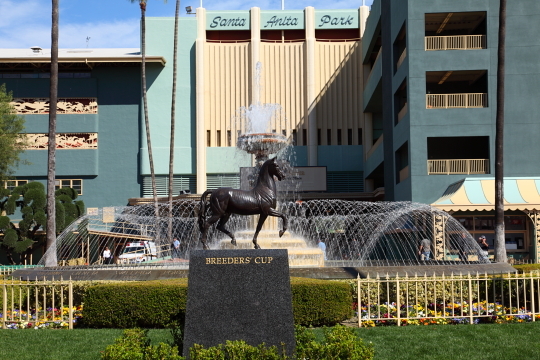 We stayed and watched about four races before we decided to call it a day and what a day it was!